Rev.Tim Byron is SJ from Liverpool, Wales, is currently working in the Philippines. In his latest blog, he reflects on a story from the region that he hopes will soon reach the big screen. He writes: 'The history of Christianity in Asia is marked by terrible suffering and persecution, mixed with power, corruption, ignorance, prejudice, cultural suspicions, terrible mistakes, acts of great generosity and sacrifice. Some of the fiercest persecution was in Japan - after the success of the initial journeys of Jesuit missionary St Francis Xavier. The story of the martyrs of Japan is powerful and it should be known by a wider audience. Well, hopefully it will be thanks to two men: award-winning Japanese author Shusako Endo and one of the greatest film directors of all time, Martin Scorsese. Scorsese has announced his next project will be a film based on Endo's classic novel Silence. Scorsese as a young man seriously considered the priesthood, even entering the seminary. Now, having married five times he recently said - 'I'm a lapsed Catholic. But I am Roman Catholic, there's no way out of it.' You do not have to look hard at many of his films to see the Catholic influence. The novel is based on the historical figures of three Jesuits - and at the centre of the story is the infamous Fr Cristivo Ferreira, who was the head of the Jesuit mission in Japan. Ferreira was captured and committed apostasy after being tortured for five hours. The tortures for Christians were terrible, often being hung upside down over a pit and slowly bled unless they denied the faith - often by publicly trampling on a crucifix. 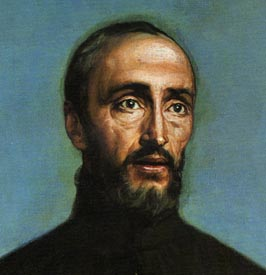 Ferreira became the most famous of the 'fallen priests', converting to Shintoism, changing his name and writing a book entitled The Deception Revealed in 1636 (a treatise against Christianity). He also participated in government trials of other captured Jesuits. This was a great scandal and shame to many Christians. Two young Jesuits were sent to Japan to succor the local Church and investigate reports about Ferreira, and if possible 'bring him back'. Having read the novel about 20 years ago, it has, according to Scorsese himself, 'given me a kind of sustenance that I have found in only a very few works of art.' Daniel-Day Lewis, Benicio Del Toro, and Gael Garcia Bernal are all reported to have major roles locked down. [Note: In an interview in December 2011, Scorsese said he still hoped Day-Lewis would be starring in the film but acknowledged that he would not know for certain until he had finished filming 'Lincoln' with Steven Spielberg}. In a forward to a recent edition of the novel - Scorsese explains his fascination: "How do you tell the story of Christian faith? The difficulty, the crisis, of believing? How do you describe the struggle? ... Shusaku Endo understood the conflict of faith, the necessity of belief fighting the voice of experience. The voice that always urges the faithful - the questioning faithful - to adapt their beliefs to the world they inhabit, their culture...That's a paradox, and it can be an extremely painful one: on the face of it, believing and questioning are antithetical. Yet I believe that they go hand in hand. One nourishes the other. Questioning may lead to great loneliness, but if it co-exists with faith - true faith, abiding faith - it can end in the most joyful sense of communion. It's this painful, paradoxical passage - from certainty to doubt to loneliness to communion - that Endo understands so well, and renders so clearly, carefully and beautifully in Silence." Martin Scorsese, who has brought films such as The Last Temptation of Christ, Taxi Driver and Mean Streets to the screen, has now released Hugo, a fascinating children's film now in theatres.